Commercial Glazing is a leading competitor in Melbourne when it comes to quality production and installation of all types of glass mirrors including convex and robe door mirrors as below. 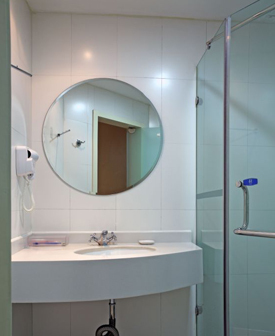 Our range of mirror repairs and installations cover both commercial and residential applications. Our Z.Bavelloni straight line edge machine makes it possible to create custom made mirrors to suit all your requirements.